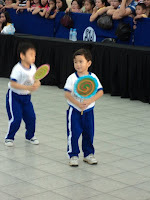 Last Thursday, 28th of October my son Jeon once again joined another school event. This is actually his 4th time to participate in school events (Nutrition month in July, Buwan ng Wika in August and October would be World Teacher's Day and the school's foundation day). This time his elder brothers were able to go with us because they are on school break) and also his Mama Sha went along with us too. 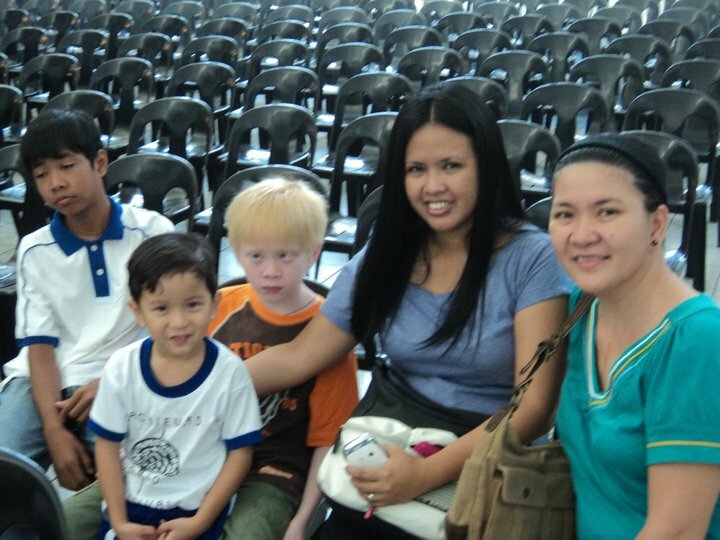 We went to the event early (the picture will show that we were the first ones to arrive at the venue); so we can get better seats in the front row. However, some undisciplined parents were thick enough to stand in front of our seats thereby blocking our view. I was irritated with such actions and started complaining to these people. A mom then reacted that I should not complain because that's just the way it is. Her reasons were so lame and in fact she admitted that I was right, but since majority do it that way then I should go along with them. (Hmmm..I wonder how she discipline her child with such outlook in life). I was so irritated before the program started, when I saw my son standing in front among the group of other students his age. I felt so proud! He performed well and was flashing his sweet smile every time he sees us. His performance was a success and because of that we treated the kids for a lunch out in one of their favorite restaurant. It such a memorable day for me; I've learned my lesson never to argue with people who are narrow-minded or they will ruin your entire day and even your entire life. We are looking forward to another performance of Jeon this coming December.
" Last night, I experienced something new, an extraordinary meal from a singularly unexpected source. To say that both the meal and its maker have challenged my preconceptions about fine cooking is a gross understatement. They have rocked me to my core. In the past, I have made no secret of my disdain for Chef Gusteau's famous motto: Anyone can cook. But I realize, only now do I truly understand what he meant. Not everyone can become a great artist, but a great artist can come from anywhere. "; quote from Anton Ego the food critic in the movie Ratatouille. This movie has become a favorite movie of my family. 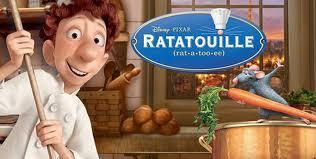 It showed how men and animals (Remy and Linguini) can work and live in harmony if they wanted to. Another moral lesson of this film is that, the good will always triumph over evil. See what happened to Chef Skinner, he was kicked out of the restaurant. I hope that everytime we watch a film, my kids will remember the lessons learned from it as well as the quality time we spent together. If you are fond of watching sports events and concerts, then you have to buy tickets ahead of time to avoid the hassle of queuing through long lines and not to mention running out of tickets and miss the event. In the US, all sports teams have their homecourt, this would allow people from their state to have the chance to cheer for their own sports team. Sometimes events held in these arena are not just for sports alone, major concerts by famous celebrities are also held in these venues. 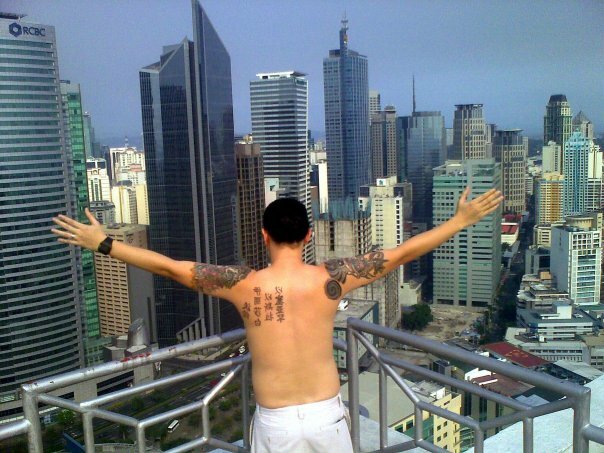 Here in the Philippines, we have the venues like Araneta Coliseum, PhilSports Arena and Ninoy Aquino Stadium. Recently, in major provinces there are already venues like these that can accommodate huge number of people. My cousin Sharon or Mama Sha as my kids call her celebrated her birthday with us (it was supposed to be with the kids alone, but they have no choice we have to drive for them). 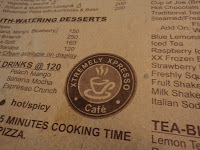 We went to Extremely Espresso as recommended by my hubby. He was always telling story about the extra large size pizza, so we thought of giving it a try. 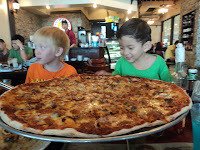 Of course my youngest son Jeon was so excited about it because he already saw the big pizza on the table beside us. 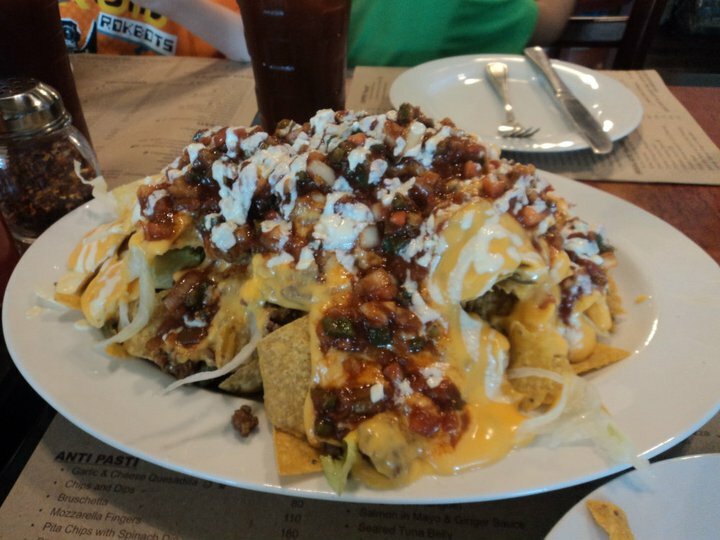 So when our pica-pica was served with was Nachos with all the toppings you can think of (cheese, mayo, black olives, ground meat, veggies etc); he did not even took a bite. He said he does not eat chips and would rather wait for the pizza. 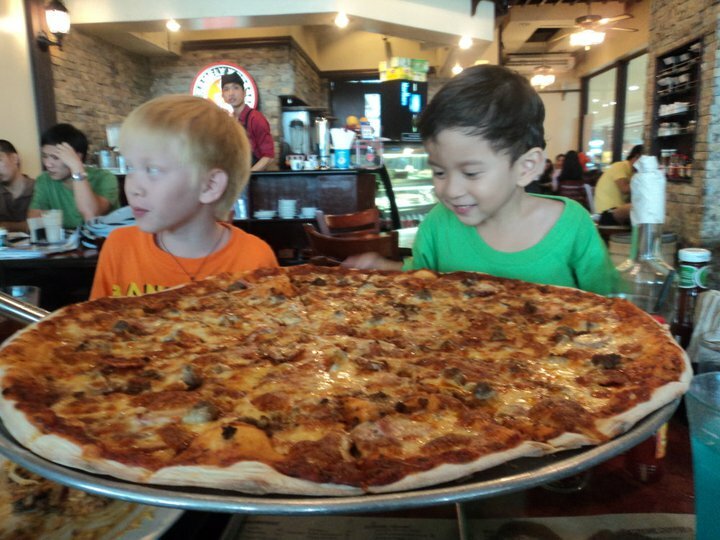 And when it was time for the pizza to be served, you could see how Jeon's eyes sparkle with excitement and could not wait to eat it. The Blue Lemonade is the best partner for the pizza and the nachos. 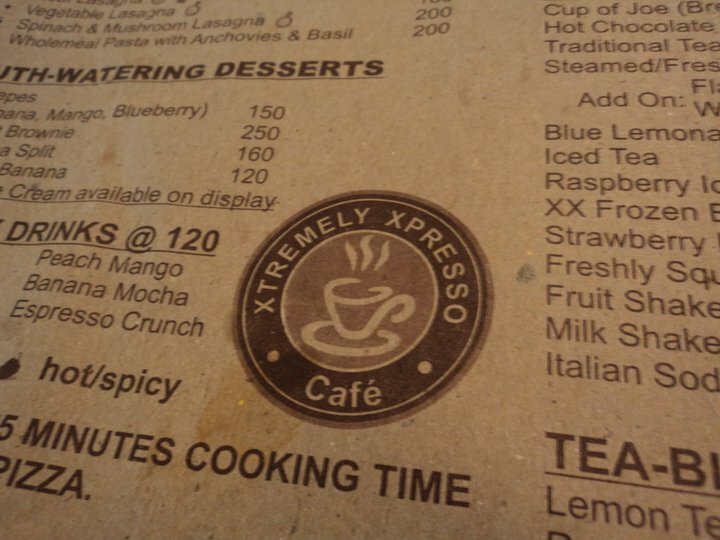 It was a fun and gastronomically fulfilling experience to dine at Xtremely Xpresso. I am definitely sure that this won't be the last time we would be visiting the place. In fact, the kids can't wait for payday because we promised them that we will go back to the place. Because it was not only the kids who enjoyed eating at the place, even my hubby enjoyed it because it was not "damaging" to the budget compared to other restaurants. I have been contemplating on putting a tattoo on either my back or foot; but I chickened out whenever the schedule of having a tattoo has arrived. In fact, me and hubby are planning to have tattoos on our left ring finger; this is in replacement of a wedding ring. We plan to have a tattoo ring to make sure that it would stay there for the rest of our lives. When I was younger, I am not the adventurous type who would try out new things that's why I never had the chance to get a tattoo back then. My brother Warren had his first tattoo when he was already a professional; after that first tattoo it seems to be very addicting because until now he continues to make his body a canvas. 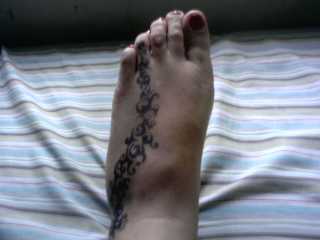 I have tried some henna tattoos placed on my foot and at my back. Maybe soon I will have a real tattoo placed on my body; but I need to look for a design that I would not regret having for the rest of my life. My four-year old son seem to be to smart for his age. There are moments when he gives witty remarks, ask "silly" questions and utter words of "wisdom" from a pre-schooler's point of view. I hope you will enjoy some of his remarks, most of them in the Filipino but I will be translating it to English. JEON said (using his Mommy-like tone)" Aba! Aba! Aba! tapos ka ng kumain? Konti palang nakain mo ah, tatayo ka na agad"
All of us were laughing after hearing him talk to his elder brother that way. 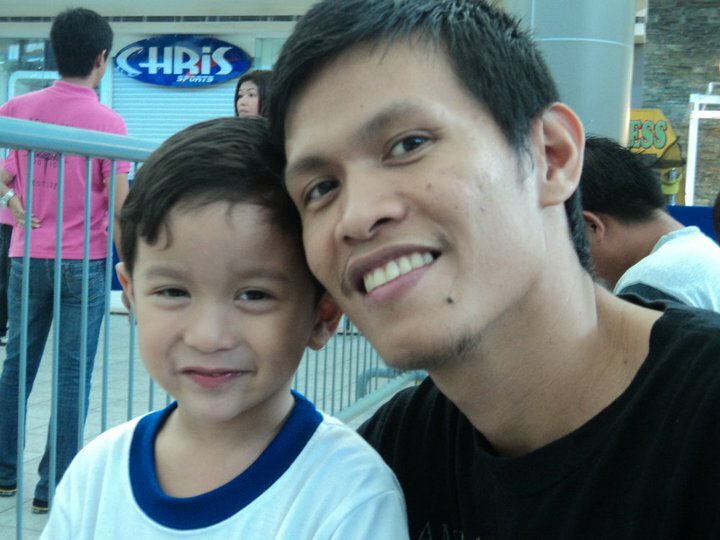 JEON said: "Kuya, ano ka ba yung softdrinks pang Mommy lang yan di pwede sa family yan. 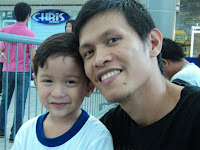 Mommy lang iinom nyn sa umaga, lunch at gabi..db noh Mommy?" 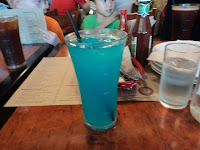 (Kuya, the soda is only for Mom, family members are not supposed to drink soda. Only Mommy can drink soda in the morning, lunch and night, am I right Mommy?" A lot of people love it straight, but I definitely want mine curled and twisted. I am not referring to my hair, but I am talking about the McDonald's fries. Yes, mommies and kids, of course daddies too; the twister fries are back! If you got tire of munching the traditional McDonald's fries, then it's time to add a little twist in eating your favorite fries. The kids will surely enjoy the McDonald's twister fries. This twister sensation is now available on all McDonald's store. Grab your share. Treat the kids out this weekend for a great tasting twister fries. The Sunday movie marathon will be blast with twister fries being served. It's been a month since I got this full time writing job and I am really very thankful for it. (Hmmm..who can resist a very nice offer?) I've been writing full time and also getting additional writing assignments from other bloggers; and did I mention that I am also a part-time Virtual Assistant? All of these jobs are courtesy of my boss, Fedhz..hihihi..Oh I forgot, I am also into writing ebook. Did somebody mention that we only have 24 hours in one day? Geez! how can I squeeze in all these tasks in one day and at the same time be a Mom to my kids and a loving wife to my hubby? The answer is, I DON'T KNOW! With all these writing jobs plus the errands in running our entire household, my hands are definitely full everyday and even during the weekends. Sad to say but it means lesser time to enjoy watching movies with my family. It is hard to manage time, and to be honest I am never good with time management. I am not sure with other writers, but for me, once the ideas are flowing inside my mind I need to write it or else; it would vanish into thin air. Things are made a lot easier because I have my kids (Jet, Gab and Jeon ) to help me in doing the household chores. My hubby who is not busy with work this time is also a big help. 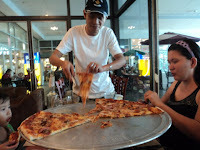 That is why whenever I get my payout, I have to make sure that we treat ourselves with a lot of yummy food. I. 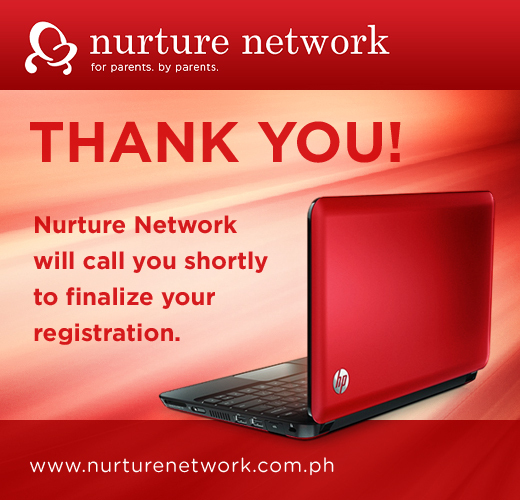 The Promo is open to all parents (pregnant mothers are not qualified to join) who are contactable. or application on www.facebook.com/nurturenetwork starting October 8 to November 4. III. Interested participants can only register once throughout the whole promo duration; should there be incidents when a participant registers more than the allowed limit, only her 1st entry submitted entry (regardless from which properties) will be honored. IV. For each successful registration of participants, Wyeth will be contacting them to process other information needed. V. All prizes are transferable, but not convertible to cash. VIII. All drawn entries are subject to verification. IX. Non-winning entries will still be eligible for the succeeding draws until the end of the promo period. X. Weekly winners of the prize will be announced and notified as to how they can claim their prize via Nurture Network Fanpage, Call and Email. They will be required to present two (2) valid IDs, birth certificate/s of children, and print out of the email notification upon claiming the prize. Prizes will be forfeited if unclaimed within 60 days (from the time winners were notified) and will be turned over to Wyeth Philippines, future use of these prizes will be under the discretion of Wyeth Philippines. XI. 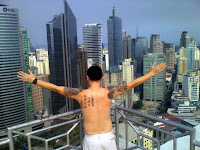 Promo will run from October 8, 2010 to November 4, 2010. You may want to try your luck, go ahead and register. Who knows you may have your own lappy before Christmas day. I admit I am guilty; I have been spending too much time writing articles; I forgot to double check Jeon's assignments. I became complacent because my hubby was here and he was the one helping Jeon out with his school works. Morning of October 5th, I read Lani's (Jeon's classmate Leanne's mom) comment on my Facebook status. She was asking me if I will go with my son at SM Clark for the school program. I became frantic after reading it. I didn't know that he is part of the school program. I asked my hubby if he read about it in our son's reminder notebooks. He said he didn't. Immediately I sent SMS to my cousin who is a teacher in that school. She confirmed that there is a school program scheduled that day. Even though I was not really feeling well that time, I prepared to attend the event. Just in time when my son came back from school. He said that he is part of the program but does not know what to wear. OMG! What am I supposed to do? My hubby decided that he wears smart casual outfit and to bring the PE uniform. It was the right decision, because they don't have costume, they just need to wear the best outfit. To make the long story short, we made it through the event. 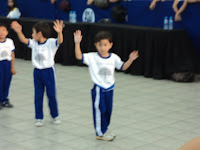 My hubby and are were really proud to see our youngest son dance on the stage. 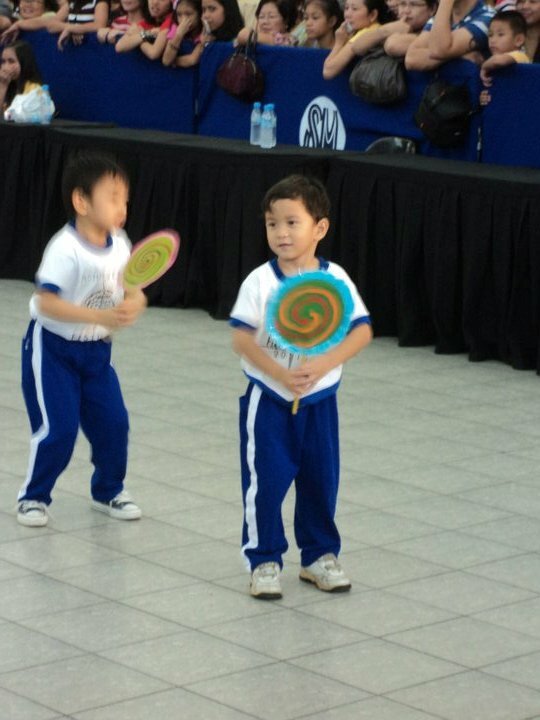 All smiles and doing his best in this Teacher's Day event. Our frowns and worries before the event started were changed into big smiles. I love to eat but the problem is I eat a lot of junk. I can't live a day without my favorite carbonated drink. Couple of years ago, I was able to achieve my lowest weight after having kids. It became an easy task for me to lose weight that time because I was still working. 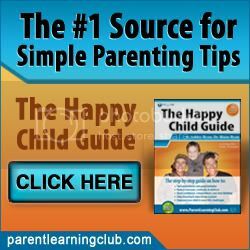 Now that I am a stay-at-home-mom (SAHM), I am having a hard time doing it. They say that doing household chores can help lose weight; I don't think that is applicable to me. I am not a hearty-eater but whenever hubby is around and we eat together as family; that is another story. Whenever time and budget would allow, my hubby and I would do food tripping. 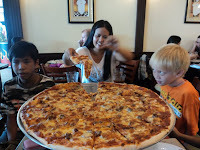 We love to visit restaurants in the area that we find interesting. But now, I guess I am determined to do it! Although whenever I ask my hubby whether I look fat, he would answer no. But when I ask my kids on how I look, they would all answer in chorus; that I look fat. As they say, kids don't lie. So I told myself that I need to do it now and I am only giving myself a month to lose all these unwanted fats. How would I do it? limit my intake of carbonated drink and eventually to totally remove it from my system. Eat only good food and stay away from the bad stuff. Exercise a lot; since after doing household chores I am stuck in front of the computer meeting the deadline of my writing assignments. I do not have time to burn calories. I just hope that I can reach my goal and eventually wear that nice piece of outfit I saw in the mall.